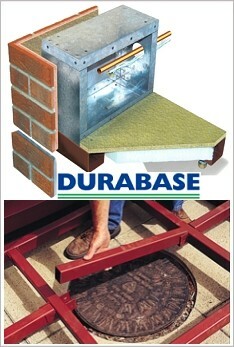 Copyright © 2006 by "Your Name"
Durabase is the only BBA acreditied conservatory base system on the market. This means that it has been air and wind tested by the british board of agrement and any recommendations that they believe need to be made to the system to make it fit for building regulations has been done. It is the only conservatory steel base stystem that has been modified and tested for the Scottish building regulations with upgraded insulation and other heat saving modifications. An average steel base 3 x 3 mts takes around 4 -6 hrs to fully install to a finished dwarf wall height of 525mmm. It is ideal for cutting down on mess and there is no need for skips. This is conservatory base system uses concrete pads rather than footings. Most customers just spread the mud dug from the pad plan holes around their garden. Why not get a conservatory and base quote now along with a glass roof price.